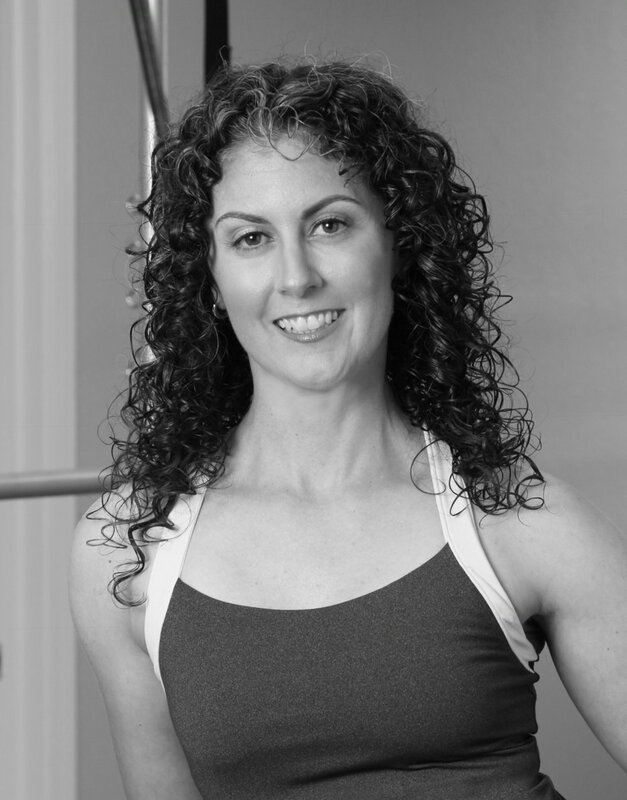 Since 1994, Nikki Fifles has worked with clients ranging from 16-95 years old, guiding a spectrum of body types toward ultimate strength and balance while minimizing pain. Nikki began her journey in health and wellness with a B.S. in Health Promotion and a minor in Dance from the University of Iowa. Her background in dance specifically inspired her to pursue a career path in Pilates, acquiring her first certification via Physicalmind Method. Seeking greater depth into the field, Nikki discovered The Pilates Guild (i.e. Romana’s Pilates), achieving a second certification that she felt gave way to a deeper understanding of what the method truly is. She opened her own pilates business, Nikki Fifles Pilates, in 1996 in Chicago, IL, working one-on-one with clients in their homes. From 2002-2014 she also became a part of the Athletico staff, working closely with a renowned team of physical therapists to further client recovery and optimize health. She welcomes students with any degree of chronic pain and shows them how Pilates can create unlimited mind and body capabilities. Sara Vincent could dance before she could walk. She began her career locally at Katie’s Dance Studio at the age of four in El Cerrito, Ca. Diligent training in Jazz, Tap, Ballet, and Acrobatics led her to many accredited performance opportunities as a member of Katie’s Dance Company. After graduating from Salesian High School in 2006, she followed her passion to California State University at Fullerton and pursued her dream as a newfound reality. Sara was the selected Graduation Speaker for CSUF College of the Arts where she received a B. A. in Dance, with a minor in Kinesiology. After graduating, Sara performed in parades at Disney’s California Adventures and was also a founding member for Fuse Modern Dance Company, with whom she was able to continue her dance career. While located in Southern California Sara spent 3 years in Administrative work where she can easily relate to sitting for 8 hours a day and she firmly believes Pilates twice a week was the only thing that helped relieve the pain and stress. Putting together her love of dance, minor in Kinesiology, passion for teaching, wealth of experience, and 20 years of learning first hand how to maintain a working artist’s instrument, she decided to pursue certification through Power Pilates, under Teacher Trainers Lisamay Scott, Sharmila Mitra, Robert Surenbroak and Krisna Hanks. With the proper classical training Sara is thankful that this path has given her the best way to reach others who share her passions for health, wellness and movement. Sara began her career as an instructor at two of the top Classical Pilates studios in Orange County, CoreArts Pilates and House of Pilates, igniting her excitement for teaching. In 2013, her journey brought her back to the Bay Area, where she enjoys sharing her passion for teaching bodies of all ages. Sara has discovered Pilates as the key to ideal maintenance of the human body, from everyday life to extreme fitness. Marta’s first Pilates experience came in 2010 when she was “a body” for Clara Blanco who was taking her test to complete her certification. For a dancer and a mover with such a wide scope of experience, Pilates was a natural fit and it wasn’t long before she completed her Mat Training with Power Pilates in 2011. Amidst many life changes, she stayed the course and eventually finished her Power Pilates Comprehensive Training in 2016, beginning to teach at the same time. Pilates has given Marta a tool for mental focus and calm in the midst of her busy life as a performer, choreographer, and teacher of various dance forms from the traditions centered around the Middle East. My movement training began in Barcelona when I was just four years old. Eventually I developed a passionate love of dances and various movement forms from the Middle East - so much so that it has become my way of life. I love the challenge of Pilates training, that the work is beautiful and invigorating at the same time. I teach with energy and enthusiasm because that makes the workout much more accessible and gives my clients the results they are after - to look good and to feel good. Seeing my clients improve with every lesson, gives me great satisfaction and motivation to keep learning.